Our dedicated and multi-talented crew have spent years sailing along this coast, leading our trips. Their experience and commitment makes the difference between a good trip and a great one! Our captains are all Coast Guard and Department of Transport licensed to ensure safety. Aboard each trip is a Resource Guide with qualifications in biology, education, zoology, anthropology or ornithology. Our guides are not only experts in their field, but truly enjoy communicating their enthusiasm to others. Down below in the salon, our wonderful cooks serve gourmet meals and beautiful buffets. At age 27, Randy bought Bluewater Adventures from Dan Culver and started on his journey with the company. He is also a Bluewater Captain and has taken thousands of guests on memorable adventures along the BC and Alaska coast over 20 years. He has sailed across the Atlantic and Pacific on tall ships, been an Outward Bound instructor and holds an education degree, in addition to his 500-ton Masters license. When he is not in the office or leading trips, Randy enjoys spending time with his wife, Cathy and his teenage daughters, Anna and Heather. Cathy spent her youth on the Eastern Shores of the United States. It was here she developed a love for sailing, the ocean and the wilderness. She was an Outward Bound sailing instructor in Maine and then joined the crew aboard the tallship Sea Cloud and sailed the high seas for many months. Cathy also has a degree in Landscape Architecture. In her time away from managing the company books, she is managing her family of four and and dog, Maple. Joining us in June 2009, Erin brought with her a fondness for the BC Coast, a passion for travel and a love for the outdoors. She combines years of experience in hospitality with her degree in Marketing with the hopes of providing Bluewater guests with an amazing travel experience from start to finish. Erin loves critters, great and small, skiing, foraging, cookery, music and adventuring in general. Born and raised on Vancouver Island, Rachel grew up in Port Alberni and spent the summer months of her childhood exploring the west coast waters off Vancouver Island between Victoria and Tofino on her fathers 35ft Bayliner. She has 9 years experience working in marine environments and used to run her own whale watching company out of Ucluelet, BC called SpyHop Ocean Adventures. Rachel has a passion for nature, culture, wildlife, and marine exploration that she loves to share with others! You’ll find her behind the scenes coordinating trips and out on the water working as crew when she can! Heather did her first Bluewater trip at 5 months old and subsequently grew up onboard Island Roamer and Island Odyssey. She recently returned to North Vancouver after completing her Bachelors of Science degree at McGill University. She has a passion for travel and hopes to reach her final two continents soon! When not working or travelling she is adventuring locally, watching reality TV, or entertaining her cat, Clooney. 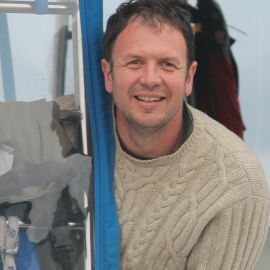 Neil joined Bluewater in 1999 and has been a licensed skipper for 20 years. Neil was born in South Africa, but raised in Vancouver BC. He has ten years experience with Bluewater sharing his love of wilderness and wildlife on the B.C. coast, and has always enjoyed taking guests to the places he loves the most. His knowledge of the coast and his enthusiasm are inspiring to all of our guests. Neil is passionate about sailing and loves to write and play music in his spare time – He always has a guitar onboard! Neil is also a Yachtmaster instructor and examiner, he volunteers for search and rescue with the Coastguard Auxiliary. Owning his own sailboat, Neil likes to spend weekends on the waters around Vancouver. Xander has been a sailboat captain for 15 years and is now in his 5th season with Bluewater. His sailing career has taken him from teaching sailing in Downtown Vancouver to riding out hurricanes in the West Indies to Exploring the Fjords of Greenland. 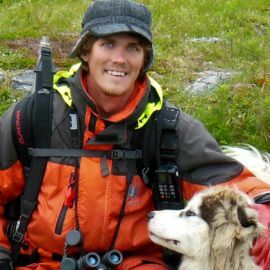 When not sailing, Xander works as a wilderness guide leading sea kayak and hiking adventures from South America to the high arctic. Residing on Vancouver Island, Xander spends his off season with his wife Alison and two kids. There aren't many places that Brian hasn't explored in his 30 years of sailing - the Mediterranean, Caribbean, South Pacific to name a few - but the last 20 years has been devoted to exploring the incredible coastline of BC & Alaska. In addition to his many years as a captain, Brian has also operated a sail training program for youth for 17 years, led cultural eco-tours in remote villages in China & Tibet, and initially discovered the coastline of BC and Alaska as a bush pilot. One of his current passions is to be an international spokesman for cultural and natural eco-tourism and wilderness management issues. When Brian's not out on the water sailing and leading expeditions, he works as the Guide Outfitter Coordinator, advocating for BC's coastal carnivores, with Raincoast Conservation Foundation. Jonas has been involved in the marine industry for the past 17 years. His love for the ocean and the nautical world has afforded him many opportunities. From commercial fishing, to work aboard sailing yachts, his sea travels have ranged from the North Pacific and the Bering Sea, to the Baltic, Caribbean, and Mediterranean. He has participated in two Trans-Atlantic sail crossings and transited through the Panama Canal twice. Jonas was born and raised on the Oregon coast, where he developed his passion for the sea and the greater natural world. His dedication to surfing has and continues to lead to coastal exploration both near and far. 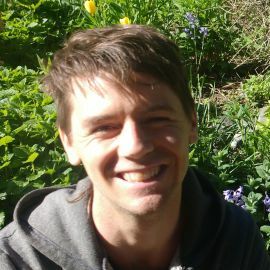 Jonas currently lives on Cortes Island with his wife Amy and their daughter. 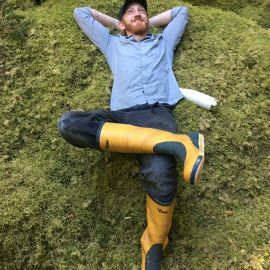 Luke grew up on Haida Gwaii (the Queen Charlotte Islands) where he spent his childhood working on his father's fish boat and developing his passion and extensive knowledge of the natural world. 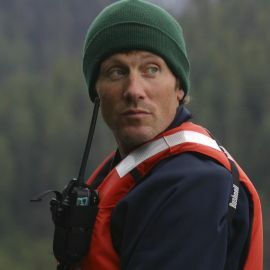 As a teenager he worked as a biologist's assistant before becoming a kayak guide and boat captain. 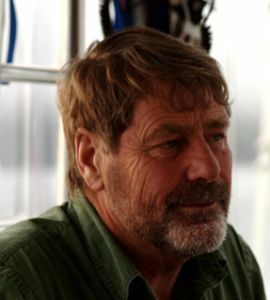 He has worked on the BC coast as a skipper, guide and naturalist for the past 16 years. He lives with his wife and two young children on the remote Sonora Island where they have built themselves a beautiful homestead. Ryan grew up on Gabriola Island, one of British Columbia’s Gulf Islands. He spent his summers exploring the coast on his family’s Sailboat and fishing with his Dad. He has worked in Tourism since 2004. 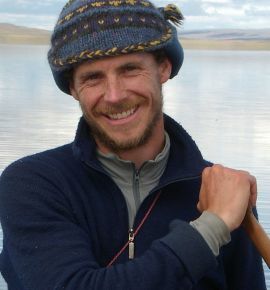 In 2006 Ryan bought a sea kayaking company and spent 13 years as owner and lead guide operating multi-day kayak expeditions in BC and Baja Mexico. 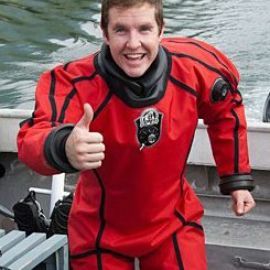 In the off-season Ryan is an instructor for Transport Canada teaching marine certifications and safety training courses. Ryan has been a licensed skipper since 2012 and has worked for Bluewater Adventures since 2016. Growing up in the prairies with a father who loved and dreamed about sailing gave him the enjoyment of spending time on the water. While working in the IT industry many of his winter holidays were spent sailing in Florida, the Bahamas and Caribbean. In 2008, he took the leap and moved West to be closer to the water and to mess around on boats with a job as a service manager for a charter boat company. He started working for Bluewater Adventures in 2017. During his down time, you can find him at the Jericho Sailing Center sailing boats and paddling kayaks. 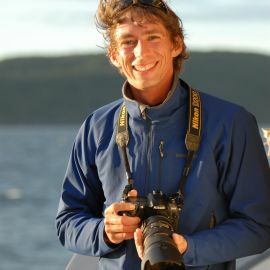 Gaelen grew up in between Victoria and Seattle, spending much of his free time exploring the Salish Sea in various types of boats. 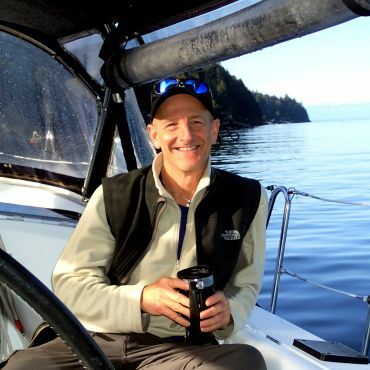 Trained as a naval architect at the University of British Columbia, he has foregone the desk after 5 years of ship design in favour of the nourishing work of exploring BC’s beautiful waters, sharing his passion for sailing this coast. When not on the water with Bluewater, look for him back-country skiing, surfing on Vancouver Island’s west coast, or enjoying the domestic pleasures of cooking, reading and playing guitar. Tom has been obsessed with the ocean from a young age growing up in Australia on the Great Barrier Reef. His love for the ocean lead him to study Marine Biology at the University of QLD and after completing his studies he continued working for years on the Great Barrier Reef, as a guide, divemaster and researcher. 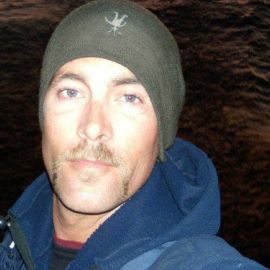 This passion for the marine world and travelling lead him to move to Vancouver Island where he has been operating whale & wildlife tours for the past 10 years, which are primarily focused on Orca and Humpback encounters. These past few years Tom has also been working as a Marine Biologist and guide in Antarctica & Norway. His love and passion for the ocean world is clearly evident and highly addictive. Residing in Nelson, BC - Annie has joined us each summer on adventures along the coastline for over 11 years now. In the Bluewater off season, she works as a chef at various ski-resorts and lodges in the BC Interior. She also runs a catering company based out of Nelson, BC. The guests always appreciate Annie’s diverse and healthy food that she creates from the galley. An accomplished skier and Yoga instructor Annie loves the outdoors and keeping fit. 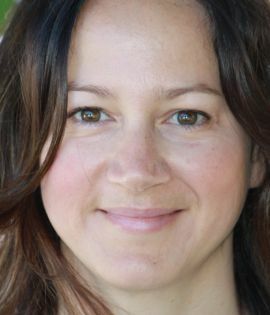 Janelle currently lives on Salt Spring Island and has over 25 years experience in hospitality. Also a trained and knowledgeable wine steward, Janelle's passion lies in the alchemy between the freshest ingredients and the perfect wine pairing. She hopes to share her experience, zeal and love for creating wholesome, delicious recipes and a consciousness of these special places where foods and wines are grown together side by side. Claude is a chef specialized in cooking in wilderness settings on boats and back country skiing lodges. Based in the Kootenay region in British Columbia, she runs her own homestead and market garden. She grew up in Quebec City and one of her biggest passions is backpacking, hiking and cycling tough Europe, Asia and Central America. When she is home in BC, you can find her kayaking, skiing, swimming, reading, and of course gardening. Currently a resident of Roberts Creek, BC, Carmen's love of the water and boats began at age 8 when her father bought a cottage on a small island on the St Lawrence River in Ontario. Her passion and knowledge of food came later, and now it's a dream come true to combine the two in such an awe-inspiring part of the world. Her training as a nutritionist sparks her ability to create delicious meals even for those with special diets, with a focus on local and sustainable food. When not out with Bluewater Adventures, she is busy running her business Carmen's Cuisine, where she is a caterer, cooking instructor and culinary retreat facilitator. Her cooking adventures include a remote fly-in lodge outside of Yellowknife, an aboriginal alternative school in Vancouver's East side, and a retreat centre in Fort Langley. In her off hours, don't be surprised to find her with a nature book in hand and binoculars around her neck! After completing the Culinary Arts program in Windsor, Ontario, Joshua began his cooking career in Vancouver in 2009. His cooking journey has provided experience in a variety of kitchens throughout BC. He expanded his knowledge of food through cultivation and agriculture while working on a farm. In looking for something different & more exciting, Joshua discovered Bluewater Adventures in 2016. When he's not cooking, he's enjoying the outdoors, woodworking & playing the cello. 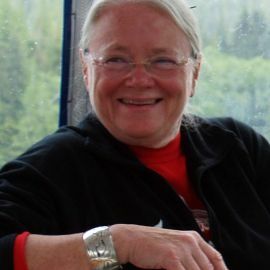 Dr. Robin Wright is the curator for Native American Art at the Burke museum, former director of the Bill Holm Center for the study of Northwest Coast Art, and an expert on Haida art. Robin has been leading trips to Haida Gwaii (Queen Charlotte Islands) for over 20 years, most of them with Bluewater Adventures. She is always keen to share her knowledge on Haida art, First Nation stories, and her recent passion, Haida genealogy. As well, her deep relationship with the people and land of Haida Gwaii is what brings these topics to life. Lindsay joined Bluewater in 2006, and has been exploring BC's vast and awe-inspiring coastline ever since. Her earliest child hood memories are of beachcombing and stuffing her mouth full of salmon berries — things haven't changed much since then. When she's not teaching earth and ocean sciences, she works as a wilderness guide, ski patroller and first aid instructor. In 2002 Lindsay earned a BSc from the University of Victoria in Earth and Ocean Sciences and in 2009 she earned a BEd with a minor in environmental education from Simon Fraser University. Lindsay also loves photography, skiing, surfing and playing music. Her favourite marine invertebrate is the Giant Pacific Octopus. Rachel joined Bluewater in the spring of 2011. 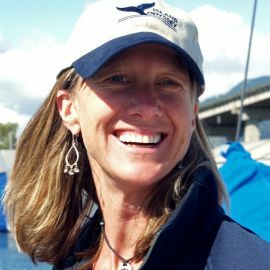 Born and raised on Vancouver Island, her love for sailing and the natural world began at an early age. While earning her BSc Hon. 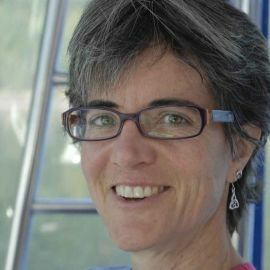 in Geography from the University of Victoria, she worked as a Park Naturalist in BC Parks, inspiring, educating, and connecting people of all ages with the natural world. 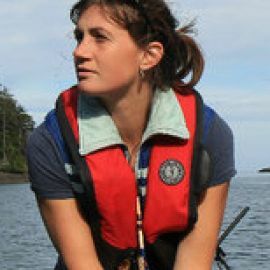 Rachel has recently completed her master’s degree in Resource and Environmental Management at Simon Fraser University. 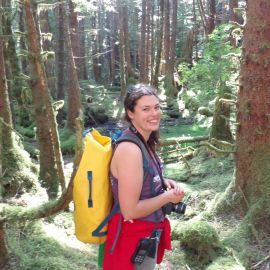 Rachel’s passion is exploring, discovering and sharing the wilderness and wildlife of BC’s beautifully rugged coast. Bluewater has been fortunate to have Rob leading trips for us since 1990. 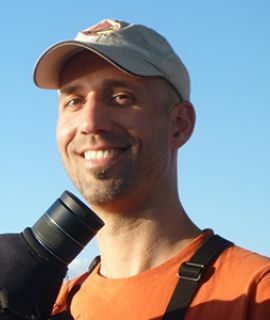 Rob is the coordinator of the British Columbia Breeding Bird Atlas and scientist with Bird Studies Canada. He is also an adjunct professor of biological sciences at Simon Fraser University in Burnaby, British Columbia. He was a senior research scientist with the Canadian government for 28 years. His specialty is ornithology where he is recognized as an authority on the ecology of herons and shorebirds. He has written many scholarly publications and authored several books for over 30 years. Rob is also an International Fellow in the Explorers Club. He earned his doctoral degree from the University of British Columbia and he lives in New Westminster overlooking the beautiful Fraser River. Dr. Barrie K. Gilbert is Senior Scientist (retired) from Utah State University. After receiving his B.A. in Biology from Queens University in Kingston, Ontario, he earned a PhD in ecology at Duke University. 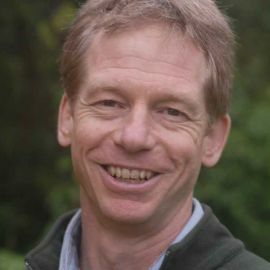 His specialty is behavioural and conservation ecology, especially the application of behavioural science to management of human-wildlife interactions. His recent research has focused on the impacts of roads, access and recreation on bears and other carnivores, their habitat, and plans to minimize or eliminate these impacts at a protected area scale. He began studying bears in 1974 and started working with coastal B.C. bears in 1996. For the last 15 years he directed studies of human-bear interactions along salmon streams in Katmai National Park, AK, and in Southeast Alaska. Barrie has been with the Bluewater crew since 2006. Sherry is a geographer, naturalist and writer who has worked in national and regional parks and as the Interpretation specialist for B.C. Parks. 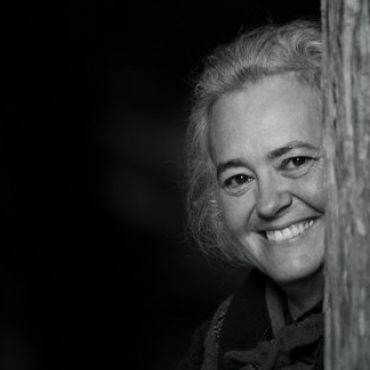 She has run her own business in the field of interpretation, worked with the renowned Royal British Columbia Museum and spent the last 30 years exploring the west coast. She was a contributing author of Carmanah: Artistic Visions of an Ancient Rainforest, the art book that helped raise awareness and eventually protect the Carmanah Valley, and has taught environmental stewardship in several colleges. Sherry believes that learning and fun are great partners and you may even catch her doing some gumboot dancing! 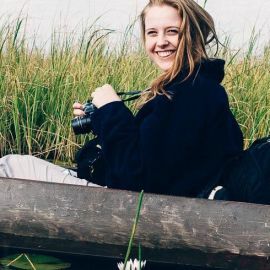 She is also a musician and photographer with a passion for travel and leads tours around the world. 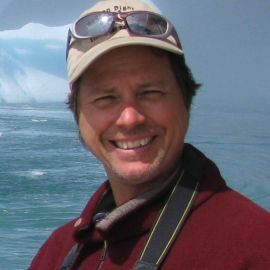 Danny is a biologist, world traveller and internationally published photographer with over 25 years of experience in the field of environmental education. He has a technical diploma in fisheries and wildlife management as well as a BSc in biology and an MSc in wildlife ecology. Danny has also taught ecology in Asia and carried out post graduate studies in wildlife management in East Africa. 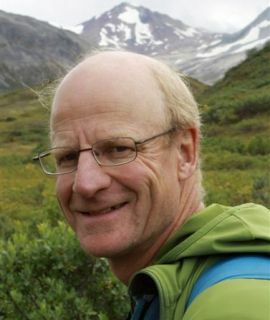 Danny spent many years working for Parks Canada, as a naturalist and park planner prior to shifting to teaching at the post-secondary level. He has travelled the world and when not seeking adventures in exotic places is a faculty member in the Fish, Wildlife and Recreation program at the BC Institute of Technology, in Burnaby, BC. Nate has been guiding people on trips throughout the world for the better part of the past decade. His exploration and desire to share the remote wonders of the world has brought him from the wild shores of Lake Superior in Canada to isolated islands in the Arctic and Antarctic. For the past years he has been immersed in the polar world. He makes his annual migration between Antarctica and the Arctic, following the arctic terns around the world every year. Having done nearly 70 trips in the Polar Regions, he is always grateful to be exploring one of the last vast wildernesses left on this planet. Emily’s love for the wild west coast of BC began at an early age. 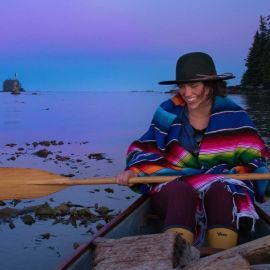 Born and raised on Vancouver Island, growing up she spent a great deal of time exploring Barkley and Clayoquot Sounds and other remote areas aboard her family’s fishing boat. 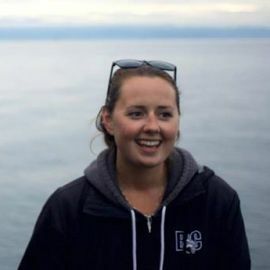 Emily earned a double major in marine biology and environmental studies from the University of Victoria, and has since worked as a wilderness guide around the Pacific Rim National Park area, and for various non-profit organizations as an environmental educator. She loves diving, hiking, wild food foraging and surfing in her hometown of Ucluelet. 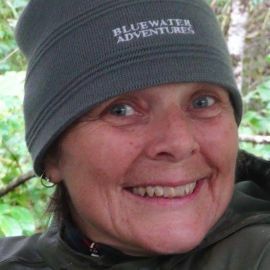 Her adventurous spirit and desire to share BC’s coastal wonders with guests has led her to Bluewater Adventures! Tim Irvin's fascination with nature has lead him to explore the wilderness of Canada and earn a degree in biological science. He has worked as a field biologist on many projects including studies of Canada Lynx, salmon and song birds, and he can identify 100 species of birds by their song. His love of wild places has also resulted in several multi-week wilderness canoe adventures, including a recent seven week solo trip in the arctic. That same passion to explore brought him to the west coast of British Columbia, where he worked as a grizzly bear guide and naturalist at remote lodges for five years. Tim is always looking forward to his next trip with Bluewater Adventures, to share the beauty of the BC coast with others and for a change of pace from his current work with the BC Ministry of Environment. People thought Captain Gold was mad when, in the 1970’s, he paddled a canoe from Skidegate to the old Haida village of SGang Gwaay - nearly 250 km of hazardous seas. He knew the importance of reconnecting with his heritage, making sure village remains were not further disturbed and of being there to welcome visitors. He single-handedly changed the image of the village and became the first “Haida Watchman”. stories of his life-long efforts to preserve the Haida spirit, heritage, language and oral history. 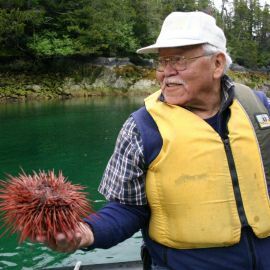 He is an elder, a Haida historian, an author, and has sits on the Gwaii Haanas Management Board representing the Haida. Stephen is known as the world’s leading expert on the causes and avoidance of bear attacks. He has been studying bears and human-bear interactions since 1967 and his popular, research-based book, Bear Attacks: Their Causes and Avoidance is considered as the standard reference, selling over 125,000 copies. Working with colleagues, he has applied the understanding of bear behaviour developed in his book toward making four not-for-profit videos on safety around bears. The flagship video “Staying Safe in Bear Country” has been viewed millions of times. Steve’s interests in nature, conservation, and people reach widely beyond keeping people and bears safe when interacting. Grant MacHutchon is a wildlife biologist and naturalist based in British Columbia’s Kootenay Region where he lives with his wife and daughter. Grant has done research/management work with numerous species throughout western Canada for over 30 years, but most of his professional career has been working with grizzly and black bears. 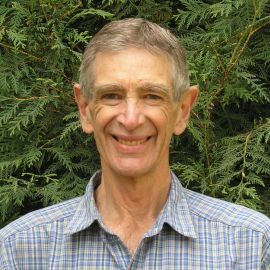 Grant has particular expertise in the areas of population biology, habitat ecology, classification and mapping, and bear and human interaction management. When Grant is not working with wildlife, he fills his time with training bear viewing guides for the Commercial Bear Viewing Association of BC, for whom he developed the core curriculum. He is also the Vice President for the NPO, the Safety in Bear Country Society focused on bear/human interactions and safety. Christopher is a biologist and naturalist who has studied many types of wildlife and habitats. His interest in nature started at a young age in Southern Ontario, but he then moved to B.C. for university and work. After jobs and travel across Canada to South America, and Europe to Africa, he found his way back to the west coast over 10 years ago. 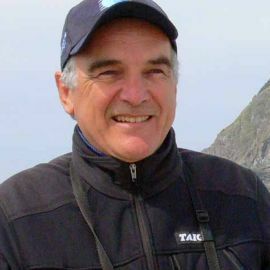 When not with Bluewater, he’s strictly been “birds.” Since 2007 he’s been coordinating the BC Breeding Bird Atlas to determine the abundance and distribution of birds across the province with Canada’s leading bird conservation organization, Bird Studies Canada. As such, he’s worked extensively in every corner of the province. Each year he meets with volunteer “citizen scientists”; regular birders who put their enthusiasm and knowledge into conservation action. Beside Haida Gwaii (the “Galapagos of the north”), another favourite place for him is leading expeditions to Ecuador (including the Galapagos). 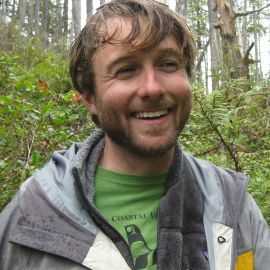 Kyle is a postdoctoral fellow at the University of Victoria and a biologist with the Raincoast Conservation Foundation. His studies include various aspects of wildlife management and conservation. He is part of large collaboration that monitors black and grizzly bear populations in the territories of the Haíɫzaqv, Kitasoo/Xai'xais, Wuikinuxv, Nuxalk, and Gitga'at First Nations. Born and raised in Ottawa, he feels very fortunate to now be based in Bella Bella, W̓áxv:w̓uísax̌vs Haíɫzaqv.